Test your surfing skills at Bingin Beach, known for its demanding breaks and dramatic coastal scenery. 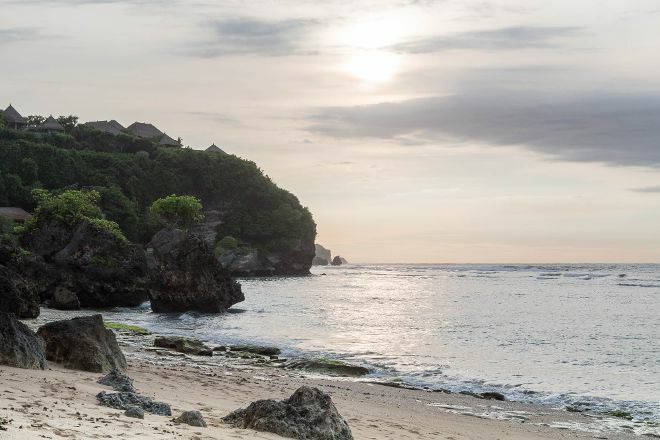 Surrounded by rugged cliffs, this unpretentious beach remains a favorite for experienced surfers and others interested in escaping the usual Bali experience. Shallow reefs make this spot unsuitable for novice surfers and swimmers, though you can sign up for lessons at several nearby beaches, where they provide less demanding surfing conditions and access to good amenities. You can drive to this beach from the area's airport in about 30 minutes. Prepare to walk rocky paths between the road and the water by wearing sturdy shows suitable for rugged terrain. Add Bingin Beach and other attractions to your Pecatu trip itinerary using our Pecatu day trip tool . Bingin Beach is a hidden gem. An absolute must visit when in Bali. There’s a handful of restaurants right on the beach, including fresh seafood bbq most evenings. You meet lots of travellers and local surfers along the beach. It’s a beautiful walk down, there’s lots of stairs, but absolutely worth the effort. Spend some time to relax on the beach and watch the sunset, then grab dinner nearby at the Cashew tree. The way to get there is a bit tiring. You can only go there by 10 minutes walking from the parking lot and you have to going down through really steep stairs to go to the beach. Bingin beach Is a place for you who wants to enjoy a calm beach with a good sunset view. Beautiful beach, but it's not good for swimming and snorkeling. Maybe good for surfing, but I didn't try to surf there 😉🤗 ! yet nice beach with poor food offers for vegan. byo! good for snorkeling if not low tide. else good for sunsets. Every day, we help thousands of travelers plan great vacations. Here are some tips on how to use your Listing Page to attract more travelers to your business - Bingin Beach. Promote your permanent link - https://www.inspirock.com/indonesia/pecatu/bingin-beach-a9122177449 - on your website, your blog, and social media. When a traveler builds a plan from this page, the itinerary automatically includes Bingin Beach. This is a great way for travelers looking for a great vacation in your city or country to also experience Bingin Beach. Promoting your link also lets your audience know that you are featured on a rapidly growing travel site. In addition, the more this page is used, the more we will promote Bingin Beach to other Inspirock users. 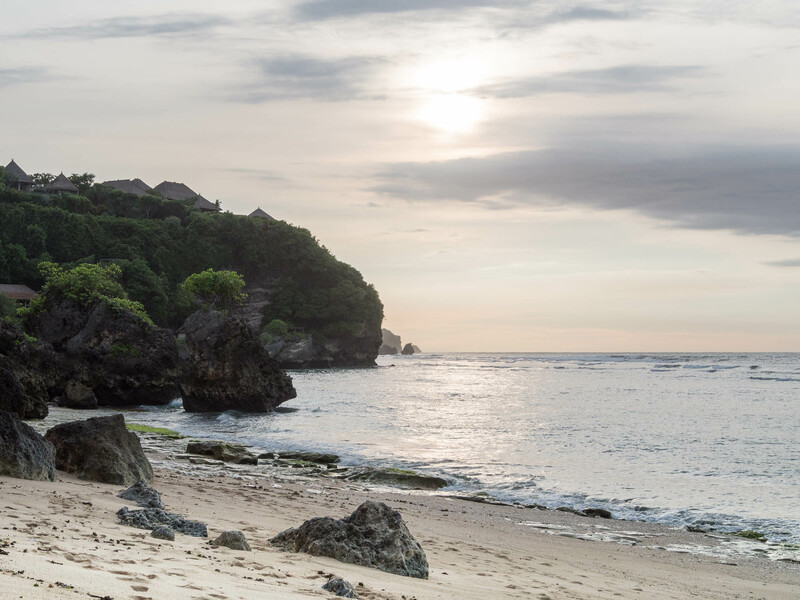 For best results, use the customized Trip Planning Widget for Bingin Beach on your website. It has all the advantages mentioned above, plus users to your site can conveniently access it directly on your site. Visitors to your site will appreciate you offering them help with planning their vacation. Setting this up takes just a few minutes - Click here for instructions.